Chive Charities fights for the underdogs. Each week, we share stories about children with rare diagnoses and veterans in need from every corner of the nation. We are proud to bring smiles to the faces of millions who read, share, and spread awareness on behalf of our orphaned causes. But we also like to do things on a smaller scale. Sometimes we like to roll our sleeves up and make changes in our own backyard. theCHIVE is headquartered in the beautiful city of Austin, TX and we are proud of our hometown. And last month, we made one local devoted public servant 10% happier. Ginger Quiroga always knew she was going to become a teacher. She had an insatiable appetite to teach, to spark in children a genuine desire to learn and grow. She loved witnessing that moment that the lightbulbs go off. For eleven years, Ms. Quiroga taught at an American school in La Paz, Bolivia. For the last five years, she has taught in Austin as a Kindergarten teacher. The district that Ms. Quiroga teaches in is 87% economically disadvantaged. Many of her students live below the poverty line. She is one of only two bilingual Kindergarten teachers - which means she teaches literacy in both English and Spanish, therefore she needs twice as many books. Unfortunately, there is no budget for these extra supplies, so everything comes out of Ms. Quiroga's pocket. On average, teachers spend around $500 of their own money every year on supplies for their classrooms. 10% reported spending upwards of $1,000. Their biggest needs are technology, basic classroom supplies, and, you guessed it - books. We could not imagine a more deserving teacher, and we knew that our community would do everything in their power to support this local hero. On May 2nd, we went live with our GoFundMe campaign to fulfill Ms. Quiroga's dream of having bilingual books readily available to her students. Chive Charities kicked off the donations with $500 and then we shared it on our Twitter, Instagram, and Facebook accounts. Within days, we had raised $2,000, more than enough to completely cover the cost of Ms. Quiroga's dream library. On May 5th, we threw a #ThankATeacher happy hour at theCHIVE HQ. We sent invites to Chive Charities members everywhere from Austin, to San Antonio, to Dallas. The happy hour would include bottomless margaritas, (it was Cinco de Mayo, after all!) KCCO Beer, and all the entertainment you'd expect when a bunch of misfits get together. All we asked in return was a small donation in the form of a school supply for Ms. Quiroga's classroom. The response was... overwhelming. More than 100 people showed up, and no one brought less than one or two shopping bags full of school supplies. Not one pack of markers, or a few bottles of glue. No donation was small. We should have known better... these are Chivers, after all. Hundreds of folders, boxes of Kleenex, thousands of crayons, glue sticks, wide-ruled paper, notebooks, Expo markers in every color, erasers, scissors, Ziploc bags, hand sanitizer, watercolors, highlighters, backpacks, and enough play dough fill a swimming pool. Oh, and a personal laminator. "This is just crazy!" Ms. Quiroga told us. "I can't believe it! I am humbled beyond words." 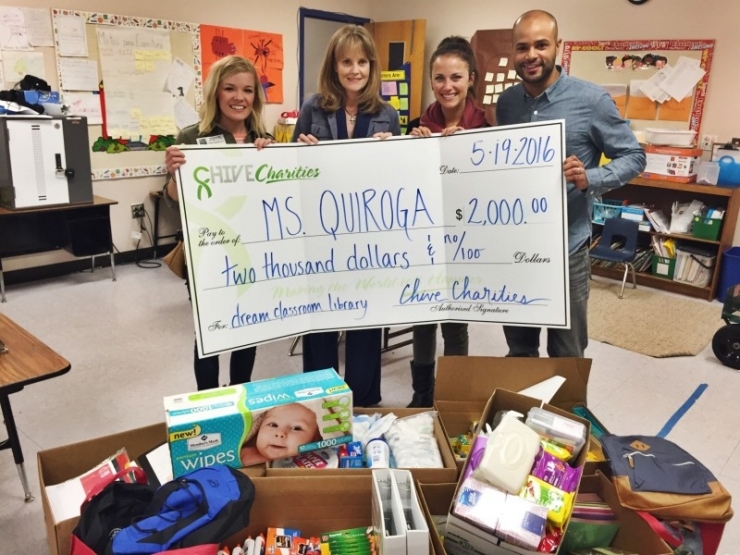 These donations don't just make Ms. Quiroga's dreams come true. This year, they'll give 19 children access to more literature, more stimulation, more learning, more opportunities. Next year, another 19. These donations will touch hundreds of lives. Teachers like Ms. Quiroga are the foundation of a successful community. She is molding our children, and therefore, our future. We wanted to send her a very clear message: What you are doing is essential and we appreciate your hard work. We just let our donations do the talking. "My favorite thing about teaching my kids," Ms. Quiroga said, "is learning their family values. 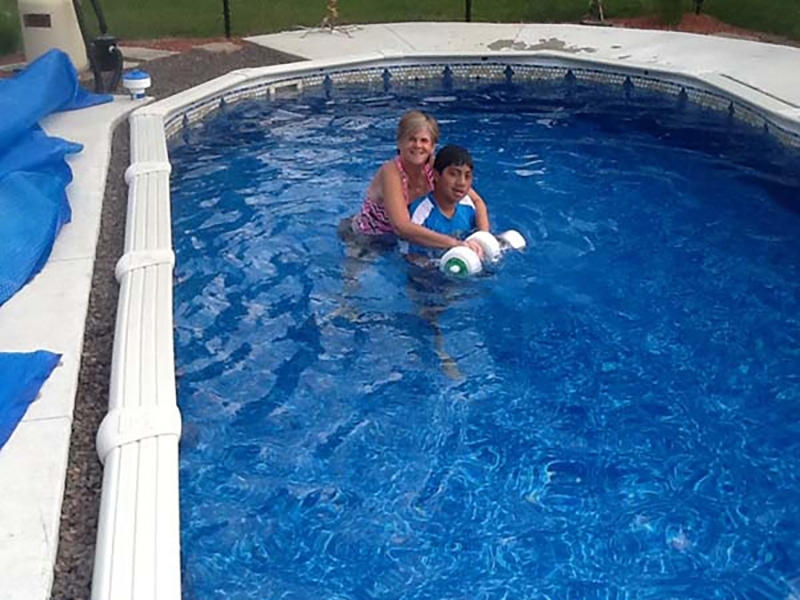 The parents are very involved in their children’s lives and they have made them a priority. They try to help their children in any way, even though they themselves may not have had the educational experience that their children are having." 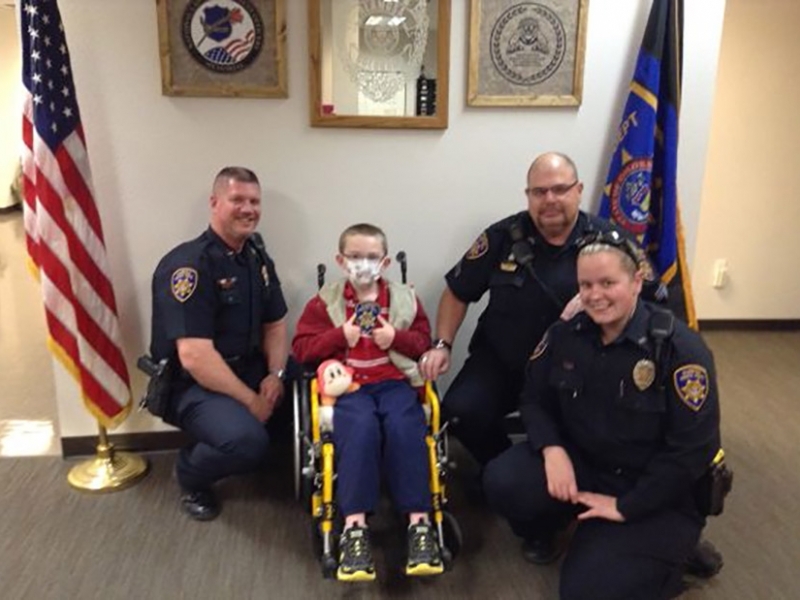 KCCO, and thank YOU for making our community 10% happier!